With the unparalleled legacy of the Pan Am Games, The Canary District Condos coming to the West Don Lands (at Front Street and Cherry Street), offer buyers a rare chance to own a piece of Toronto history. Canary District will be an easy walk to public transit and a short drive to the Gardiner Expressway and Don Valley Parkway. They provide the very first opportunity for buyers to move into the brand new Canary District neighbourhood. Developers Dundee Kilmer and Waterfront Toronto are creating Toronto’s largest urban village with thousands of new suites. Designed by KPMB Architects, Canary District will be an eco-friendly LEED Gold destination, and it will transition from homes for athletes participating in the 2015 Pan Am Games into a new Toronto community. Interiors are by Munge Leung Design Associates. The first condos to sell in the West Don Lands was River City. River City was launched almost 2 years ago, and Phase 2 followed last fall. 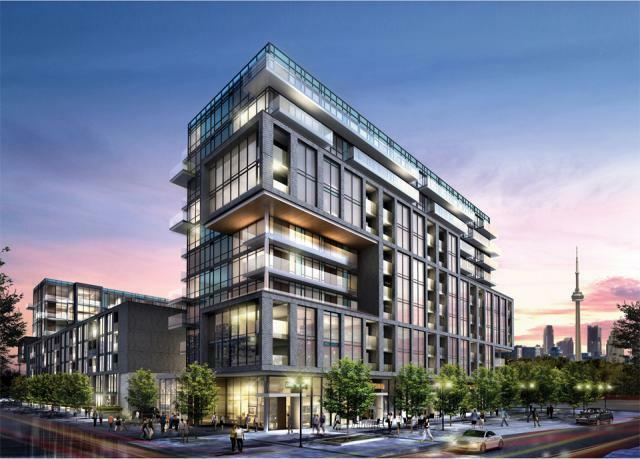 Canary District Condos will be starting in the low $200,000’s. The price per square foot will be averaging in the mid $550’s.